Karuk-UC Berkeley Collaborative members and supporters. Karuk-UC Berkeley Collaborative. The Collaborative is a partnership between the Karuk Tribe and UC Berkeley researchers working together with their allies to enhance the eco-cultural revitalization of the people and landscapes within Karuk ancestral lands. Two primary goals of the Collaborative are to facilitate UC Berkeley scientific collaborations with the Karuk Tribe and help support youth eco-cultural education programs. The Collaborative was co-founded by Karuk Tribal member Ron Reed, Professor Tom Carlson, and Senior Researcher Jennifer Sowerwine. ESPM Working Group on Interdisciplinarity. This project is currently being developed by members of “Interdisciplinari-Tea” or “IDTEA,” a graduate seminar intended to foster interdisciplinarity within Berkeley’s Department of Environmental Science, Policy and Management (ESPM). The group provides safe space for individuals from across campus to explore interdisciplinary approaches to environmental studies. By creating a more formalized working group, we hope to provide support for additional interdisciplinary research opportunities for ESPM students and faculty. IDTEA is currently co-taught by Professors Louise Fortmann and Justin Brashares, and facilitated by graduate student Melissa Eitzel. The American Indian Graduate Student Association (AIGSA). AIGSA is a student organization at UC Berkeley that works to support and promote American Indian graduate students at Berkeley. The group holds monthly meetings and events. Every spring, our group hosts Native youth for the UC Berkeley’s annual open house on “Cal Day” to discuss the opportunities and challenges of the college experience We give campus tours, organize panel discussions, and host a pizza party to help connect youth with current Native American students at Cal. For a list of current student officers, http://students.berkeley.edu/osl/studentgroups/public/index.asp?todo=getgroupinfo&SGID=12509. 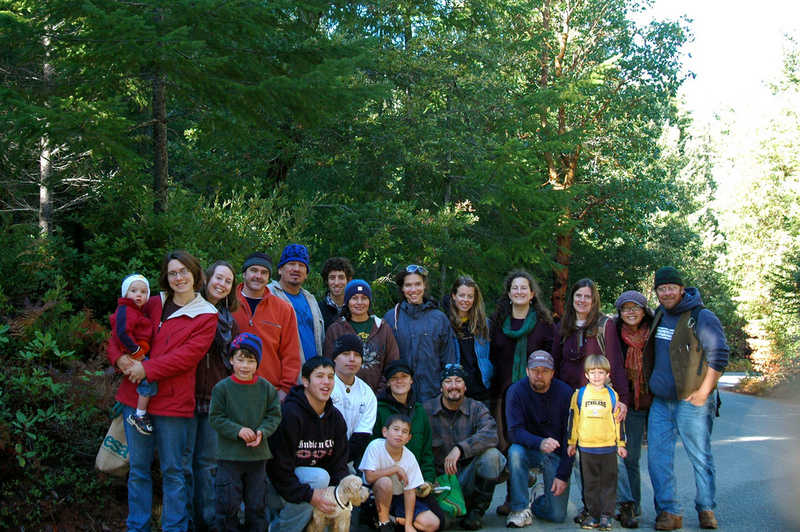 Indigenous Mapping Network student chapter at UC Berkeley (2009-2011). IMN was a non-profit organization organized to created to support mapping approaches developed with and by Indigenous peoples. At Berkeley, we created a student chapter of IMN to support a monthly speaker series on Indigenous mapping issues. Our meetings provided a platform for discussion and collaboration, which exposed group members to mapping approaches, emerging technologies, and current research theories. The student chapter was co-founded by Rosemarie McKeon and Sibyl Diver. For more information see http://melissaeitzel.org/outreach/ Also see http://www.linkedin.com/groups/Indigenous-Mapping-Network-837867/about.